Need to view a Microsoft Works for Windows (.WPS) document on your iPhone or iPad? There's an app for that! 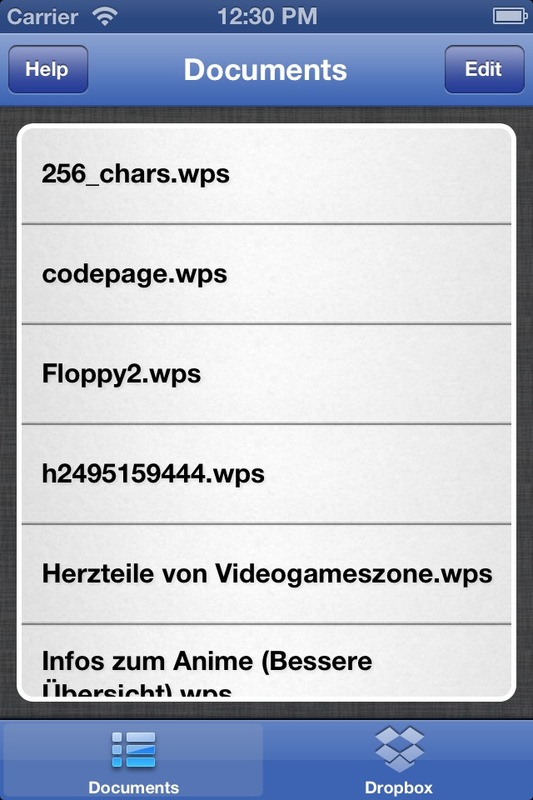 Works Viewer converts Windows .WPS documents to a format that your iOS device can read. Finally, you can view those Microsoft Works email attachments, no matter where you are! You can search, bookmark, and export the converted contents in a variety of formats. Works Viewer is NOT an editor, and it doesn't handle spreadsheet (XLR) files. But, if you need to view the contents of a Microsoft Works for Windows document, you can't do better than Works Viewer for iOS. Works Viewer for iOS converts Microsoft Works document files to a format that your iPhone or iPad can read. Works Viewer for iOS allows you to view documents created with Microsoft's Works for Windows; select and copy text from the document; or export the document into formats that can be read and easily exported to other programs. Once you've exported your Works document, you can edit the results in your word processor of choice. What can Works Viewer for iOS export? Does Works Viewer for iOS support documents created in Microsoft Works for Mac? What do the converted documents look like? Check out our samples, above. Works Viewer for iOS preserves your text and document formatting; however, to aid you in exporting your document to your Mac word processor of choice, Works Viewer will automatically remove page breaks, metadata, columns, margins, headers and footers. (If these are important to you, you'll need to use the export function in Microsoft Works for Windows). Works Viewer for iOS can be purchased through the App Store on your device, or through iTunes. You can find the App Store product page for Works Viewer right here. Can I return Works Viewer if I have a problem with it? We don't believe anyone should be stuck with software that doesn't work for them. If Works Viewer for iOS doesn't work for you, for any reason, just send us an email. We'll be glad to walk you through Apple's refund process. (Please be aware that the software will cease to work upon successful refund). Is Works Viewer for iOS supported by Microsoft? Works Viewer for iOS is not supported by Microsoft. Works Viewer is not endorsed, supported, sanctioned, approved, or manufactured by Microsoft. You can reach us at info@thelawbox.com. There is no need to call: our email response time is measured in lickety splits.